Price for badge (including P&P) £3.95 each (10 or more £3.50 each to affiliated societies/clubs, plus postage cost) Please request from Jane at the BGS office. Price for Tea Towel including P&P £5.00 each (10 or more £4.50 each to affiliated societies/clubs, plus postage cost). Colours are either racing green or copper brown. Please request from Rachel at the BGS office. Delivered to your farm in large or small quantities. Made from the original film by David and Patsy Sawyer' The original film was professionally made in 1959 and was loaned to clubs and other interested parties throughout the years. 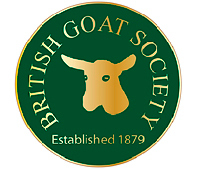 The perfect Christmas Present for all goat enthusiasts everywhere. The film has a touch of nostalgia but is as relevant today as it was then. 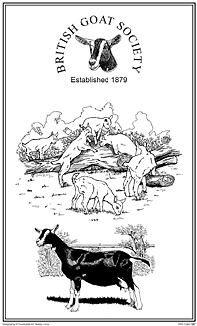 Available from the office for £10.00 Plus £1.50 Post & Packing Send your cheque for £11.50, made payable to the British Goat Society to the Secretary, 42 Manse Way, Swanley Kent BR8 8DD. T: 01434 240 866 (please allow 14 days for delivery).